Herbs and spices are the best way to add flavor and taste to your meals without stacking up on calories. 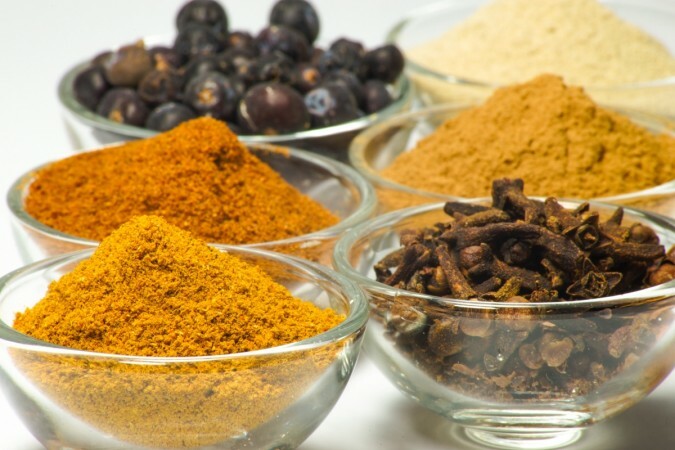 Herbs and spices help you burn fat easier because of their thermogenic properties. [Representational image]Creative Commons. Complaints about weight loss diet food being too bland will probably never end. And while one must cut down on all the savory, unhealthy delicacies to lose weight, there's no hard and fast rule about diet food not being tasty. The best hack? Herbs and spices! Those two are the best way to add flavor and taste to your meals without stacking up on sugar, fat or even sodium – aka the three cardinal sins of a weight loss diet. Let's not forget the fact that sticking to a diet is automatically so much easier when you do not detest every bite you take. Add to that, the bonus herbs boosting your metabolism, which helps burn fat, and voila! Infuse these 8 herbs and spices in your diet to enjoy your food and the process of losing weight too! A 2009 study by Tufts University, USA, turmeric can help burn body fat. It is also a warming spice that increases body heat and that in turn boosts the metabolism, which helps one lose weight. 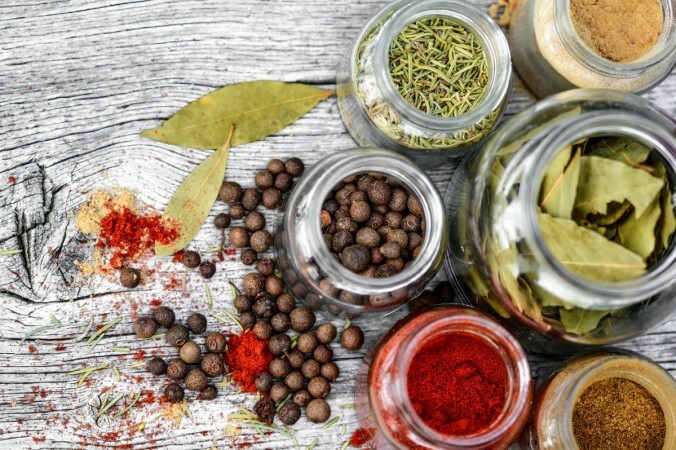 Herbs and spices are the best way to add flavor and taste to your meals without stacking up on calories, sugar, junk or even sodium. [Representational image]Creative Commons. Cayenne pepper's magic comes in the form of raising the body temperature to boost metabolism. Metabolism and burning calories go hand in hand, so adding it to meals can help one burn up to 100 calories per meal. The wonderful thing about cinnamon apart from its taste is its power to curb hunger cravings. Add a dash of it to oatmeal, mix it in yoghurt or even add it to your tea, meat or even chicken. You can burn three times more fat by just adding one tablespoon of cumin seeds to your meals on a daily basis – as per a recent study on overweight women. Plus it adds brilliant flavour to almost everything from soups and dressing to even vegetables and pulses. 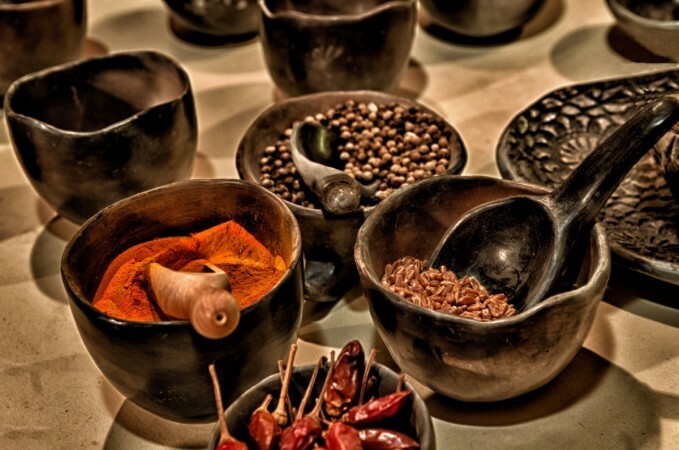 Sticking to a diet is automatically so much easier when you do not detest every bite you take, which can happen by adding spices to the food. [Representational image]Creative Commons. This popular Indian spice prevents formation of gas, saving all that bloated uneasiness. Also its thermogenic (fat burning) properties are an added bonus too. Rich in piperine, black pepper prevents the formation of fat cells – something that not only helps you lose weight but also helps maintain it. Combine it with cayenne pepper for better results! Ginger can control blood sugar level, meaning it can prevent the body's glucose levels from spiking right after eating a carb or something rich in sugar. It also has fat burning properties.